Models are in good agreement in a developing powerful windstorm (widely dubbed Hugo) today. It will be crossing the Bay of Biscay from the northwest towards southeast overnight and bring severe to extremely severe winds into coastal areas of the northen Iberian peninsula (Spain) in the second half of the night and through the morning tomorrow, Saturday, March 24. The current established pattern is supportive for waves developing from the Atlantic and ejecting towards the Mediterranean, similar conditions are expected at least for a few more days. A deep cyclone currently developing SW of British Isles is rapidly approaching the Bay of Biscay and is expected to deepen more later today. It will result in a powerful windstorm with extremely severe wind gusts in excess of 150 km/h over broad area over the open sea. 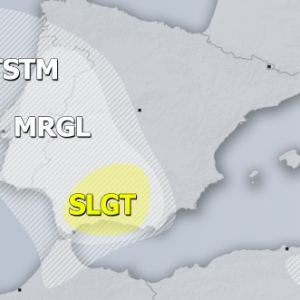 Once the cyclone enters the Bay of Biscay towards Saturday morning, it will begin to gradually weaken. 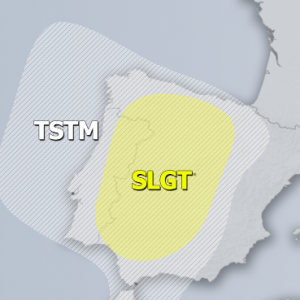 The windstorm will push into NNW Iberian peninsula; wind gusts will likely exceed 120 km/h in places across the broad area given the rather large wind field of the cyclone. The trough/cyclone then pushes onshore by late Saturday and re-intesifies in the western Mediterranean. Very cold upper levels will spread over relatively warm waters of the region. Deepening of the cyclone will strengthen the wind field surrounding the system and develop a cold blast on its rear side. This will bring more very cold weather into parts of SW Europe and especially NW Africa (Algeria in particular, with more snow there). 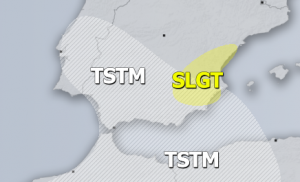 An additional effect of the new deep system in Mediterranean will be the intensification of subtropical jet stream, allowing another round of intense advection of Saharan dust towards the SSE Mediterranean on Sunday and Monday, therefore expect a lot of dust deposits on those days across Greece, Turkey and Cyprus as well.